The State of Mobility, Computing, and Content Portability – what a week this is going to be. Apple is going Mini in a few days with lots of colors, followed with Surface and Windows 8 from Microsoft, and not to be outdone Google is going Maxi and Mobile; yes Google is going to release a competitor to the iPad called the Nexus 10, a higher resolution than the Retina display with new Android 4.2. The talk is that the Nexus 10 will be manufactured by Samsung. Google is also releasing a 4 inch phone with LG that some are calling the Nexus 4, as well as adding 3G to a newer version of Nexus 7. Do consumers benefit with this much competition? Absolutely; computing and mobility are finally delivering on the promise from the sixties about the ability of ubiquitous information access; can we start working on teleportation? 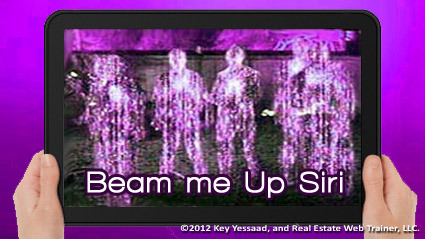 – can’t wait to say Beam me up Scotty, or would I be saying Beam me up Siri?